New yarns and books, delicious recipes and behind-the-scene photos depicting a life of Bliss. Check out the latest editions to Debbie's reading list. Where does your yarn come from? Kate Haxell investigates. Juliet Bernard on where the fashion world is headed next. Yarns to knit by; plus, techniques and abbreviations. Exquisite textural knits fir for a princess cast a fairy-tale spell. Snuggle up in stylish cold-weather accessories. Simple-to-knit pieces by two young designers play up the rainbow hues in Debbie Bliss's Riva yarn. Kids will adore wearing hats and mitts creatively shaped like woodland creatures. Demure embroidery and rustic florals add village charm to fitted pullovers and cardis. Closeups illuminate the finer points of folkloric embroidery. 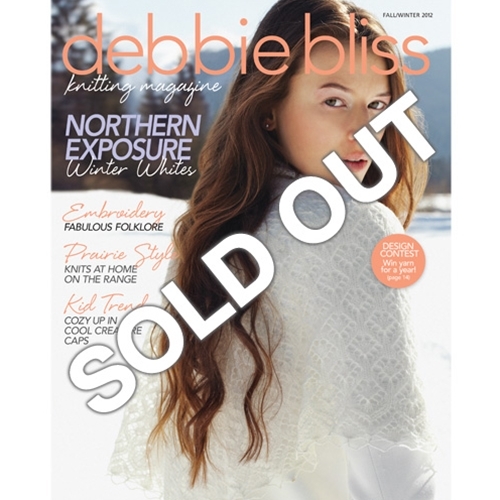 Debbie's exclusive designs fill the knitwear requests of the men in her life. Décor accents with southwestern flair.